Finance Minister Bill English says the 2012 Budget app was downloaded more than 8,600 times and was New Zealand’s most popular free-download app on Thursday last week. "The $59,000 cost of developing the app was funded through savings in Budget printing costs, which are expected to be at least $100,000," English says. The Treasury will update the Budget app each year, and use it as the base for other related government information, as the Government moves increasingly online. Banking, shopping and the business of government are getting the “app treatment”, with free mobile applications proving popular with users. Last week’s budget was cause for excitement for some in the technology sector, with the news of increased funding for hi-tech businesses and for science and engineering at a tertiary level. However this news was not first reported by journalists, but by the general public who were disseminating the news on social media after they had downloaded the information using 2012 Budget apps for mobile devices. The budget apps for iPhone, iPad, and Android devices were developed by Wellington-based studio PaperKite. Nic Gibbens, founder of PaperKite, told Computerworld that the apps were developed for the government over a very short period. “The government wanted the budget information to be available to the widest audience possible, that’s why it’s available on the web and mobile apps. They run the budget website, and its mobile version but wanted help creating app versions of the information,” says Gibbens. There has been criticism laid towards the government for creating iOS and Android app versions, when an HTML5/ CSS3 app could cater for multiple devices possibly for less cost. “Usually for our customers we would question the need for apps if a mobile website would do. They wanted people to be able to download the information and read it at their leisure,” says Gibbens. According to Gibbens, the studio was brought on board on April 20 after a tender process. PaperKite was not given the budget information beforehand, so used last year’s budget as a template. Development for the eight-strong team took less than a month. Because of Apple’s review period, which can last between five days and two weeks, they needed to push the iOS versions through an expedited review process. “We got this absolutely hilarious email from Apple which basically said ‘Thank you for requesting your app be expedited. Please don’t ever request this again,” says Gibbens. Gibbens says reaction to the apps from government and the public has been generally positive, but admits there are many bad reviews for the Android versions. Countdown is today launching an Android version of the iPhone app it released on May 11 which has been downloaded more than 45,841 times. General manager for marketing Bridget Lamont says the popularity of the app has exceeded expectations. 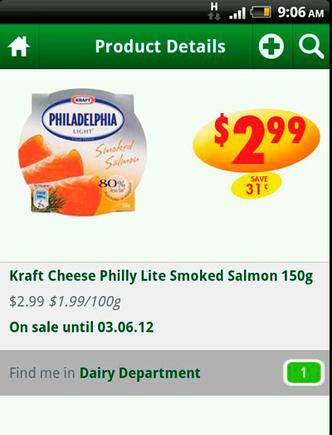 The app combines a digital shopping list with prices, recipes and an online shopping function. It enables shoppers to select their nearest supermarket, and will let them know in which aisle certain products are. In a feature that is apparently not available on all devices, users can scan the barcode of a grocery item and it will show its availability, location and price. ASB is also touting its mobile applications, with an announcement yesterday that its original mobile banking app has clocked up more than 100,000 downloads. The bank has upgraded its iPhone and Android mobile apps and customers can now make payments from their smartphones using mobile telephone numbers and email addresses instead of a bank account number. Additional features include the ability for customers to check and transfer money between accounts and view a pre-selected account balance without logging in. In a statement ASB says the mobile app uses the “latest in encryption technology to minimise security threats such as malware, phishing and hacking". The app is authorised to be used on only one handset and no personal banking information is stored on the phone. Payments are also protected with all un-retrieved funds being credited to the payer after 14 days. The bank is planning an iPad version later this year.